Swift Start® Milk Replacer 22/20 can be fed at traditional intake levels, but has the quality to allow feeding at higher levels when conditions demand extra nutrition. 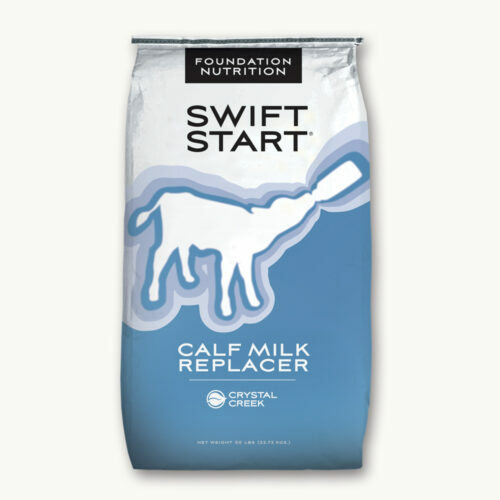 Swift Start® Calf Milk Replacers are part of an innovative calf nutrition program for the professional calf raiser who insists on healthy calves, excellent performance and a common sense economic value. The gentle processing of Swift Start® Calf Milk Replacers (CMR) does not use additional heat or steam that could compromise nutrient availability. 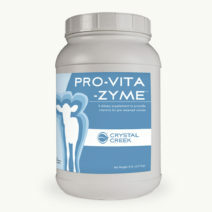 All milk powders used in Swift Start® CMR, when sourced, meet human consumption quality standards assuring the highest level of ingredient digestibility. 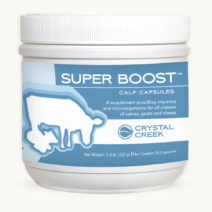 result in better calf performance. Selenium yeast is over 90% bioavailable, as compared to typical selenium sources such as sodium selenite which is less than 25% bioavailable. pH for better digestive function to help reduce the growth and colonization of pathogenic bacteria in the gut. Swift Start® High Gain 25/18 and Swift Start® 22/20 CMR contain sodium butyrate, a digestion aid to better support a healthy, efficient digestive tract. Additional key amino acids are added to the Swift Start® 18/20 calf milk replacer so that it will feed similar to a 20/20 calf milk replacer, but at a lower cost. 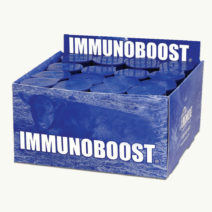 Swift Start® 22/20 is designed to be fed from 1 lb. to 2 lb. of powder per calf per day.